New-York Historical Society (including its restaurant, Storico, and the DiMenna Children’s History Museum), Located on Central Park West, the NYHS is one of New York’s pre-eminent cultural institutions and includes a museum, a children’s museum, a research library, and a restaurant. 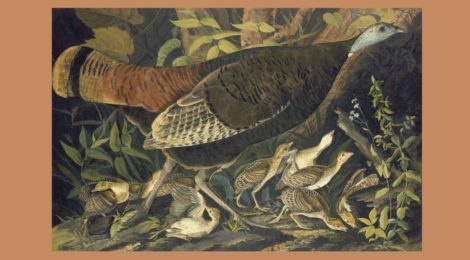 The museum contains works from artists including Thomas Cole, Rembrandt Peale, Gilbert Stuart, and John James Audubon. At the new Henry Luce III Center for the Study of American Culture, artifacts of the past are used to inform the future. In the children’s museum, intended for children ages 8–13, families can explore the life stories of children who lived in the City, from Alexander Hamilton, to James McCune Smith, who became the first African American medical doctor, to the newsboys and newsgirls who once sold newspapers citywide. Each pass admits two adults and up to four children under 18. The Museum is closed on Mondays. Dine inside this landmark building during your visit and enjoy 10% off. Also enjoy admission to members of the Empire State Museums Reciprocal Program. Paley Center for Media, Manhattan: The Paley Center for Media is centered around “the cultural, creative, and social significance of television, radio, and emerging platforms … “ Among its collection are almost 150,000 radio and TV programs and ads, covering more than eighty-five years, spanning every genre. The Museum even has a center exclusively devoted to video gaming. Each pass admits two adults and two children under the age of 12. The Museum is closed on Mondays and Tuesdays. The Library will once again have weekend passes to Stone Barns during the warm weather, running through Sunday, November 24. (The Museum will be closed for special events on Saturday, April 27 and Saturday, May 18.) Please note that Stone Barns’ weekend programming is primarily geared toward adult visitors age 14+ and includes tours and pop up talks at key locations around the farm. 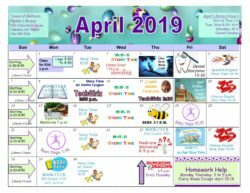 Families with younger children are welcome to explore the farm as always, but please note that guided and hands-on programming for children is not being offered on weekends. How does the program work? Passes are open to be reserved by adult Pelham cardholders. Most passes offer free admission and cover multiple people, but some are discount coupons. Details about individual passes, museum websites and pass reservations are available at this link. There may be an additional fee for some special exhibitions. In addition to what was noted above, many museums also offer museum pass participants discounts in the museum shop and or restaurant. Be sure to ask! To reserve, enter the numbers from the barcode on your library card and your PIN (usually the last four digits of your phone number). Cards must be free of fines. Each pass can be borrowed for three days – one day to pick it up at the Library circulation desk, one day to use it, and one day to return it to the circulation desk. 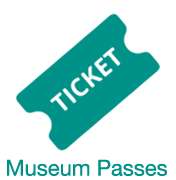 Only one pass may be reserved per household, but patrons who are in the Library picking up a pass may check out a second pass to any museum that is available at that time. Be sure to take advantage of this great Pelham Library benefit! This great benefit is made available by donations to the Friends of the Library. I read this article and found it very interesting, thought it might be something for you. The article is called Three Museums Added to Museum Pass Program: Children’s Museum of the Arts, New-York Historical Society and Paley Center for Mediaand is located athttps://www.pelhamlibrary.org/blog/three-new-museums-added-to-librarys-museum-pass-program-the-childrens-museum-of-the-arts-the-new-york-historical-society-and-the-paley-center-for-media/11299.